From 2D to 3D Modeling: It's Easier Than You Think! GeoGebra Augmented Reality: Building Cookie Models! 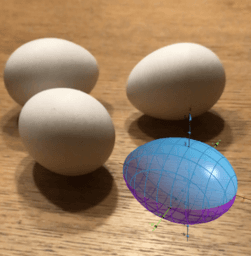 GeoGebra Augmented Reality: STEP SURFACE! This GeoGebra book contains some lesson ideas for active, student-centered learning within GeoGebra's Augmented Reality app. This volume will continue to grow over time.